You have accepted the Loc8 invitation email from one of your Admins inviting you to join the Workforce. 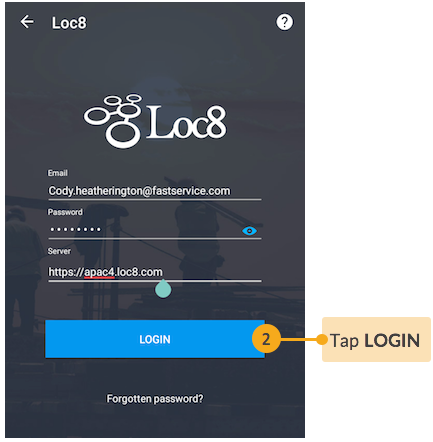 You have installed the Loc8 Mobile app on your mobile phone or tablet computer. 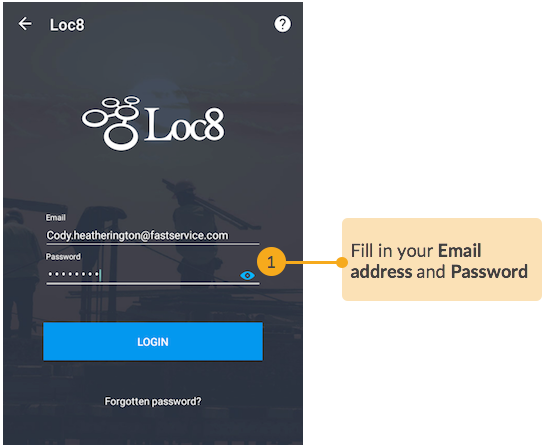 STEP 1 Tap the Loc8 icon on your mobile screen, and fill in the same email address and password, the same ones as provided on accepting the Loc8 invitation. 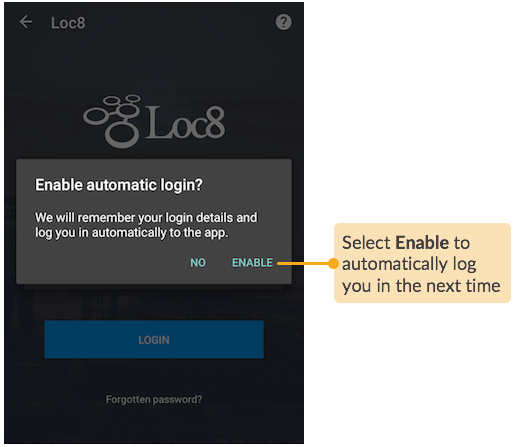 It's a good idea to ensure that you're logging in to the same server that's used by your company subscription. The server URL would have been specified in the invitation email. 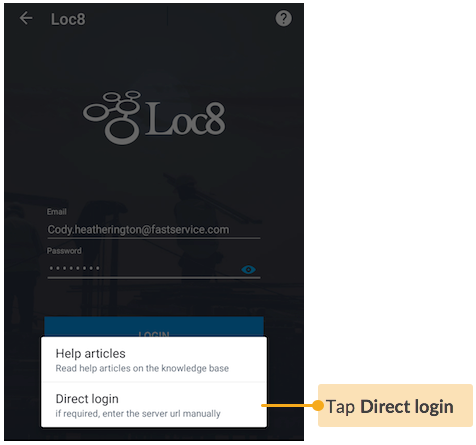 STEP 2 Login to your account. 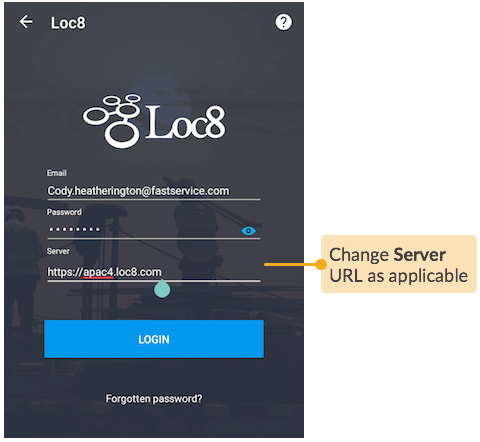 For subsequent logins, you may choose to automatically log into the app right when you tap the Loc8 icon on your mobile screen. Once you have logged in, you'll be presented with job list and appointments you need to action today or on immediate upcoming date. 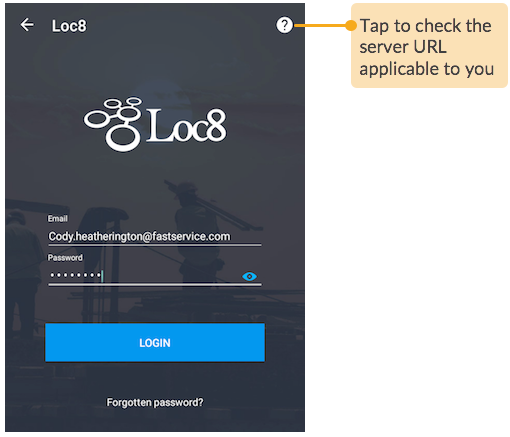 From then onwards, Loc8 Mobile will assist you in managing your field activities as you go about completing your jobs one after another.